If there were ever any doubts about the potential for advancement of women in the financial world, recent appointment and confirmation of Berkeley economist Janet Yellen to the Chair of the Federal Reserve Board should put them to rest. Yellen joins her colleague Christine Lagarde, head of the International Monetary Fund, as arguably the two most powerful financial titans on the planet – full stop. But… the more one digs, the more it seems that there are serious obstacles that confront women trying to climb to the top of the financial services sector today. Specifically, women tend to get weeded out, mid-career, in financial services. Of the women at the very top ranks of the financial services world – including investment banking, traditional banking, securities, accounting, private equity, financial advisement and brokerage services and insurance – a huge percentage of them rose to national prominence outside the financial services industry. They come to prominence in government, law, technology or academia – and then cross over to the financial services world at very senior levels, bypassing women who toiled in these professions their entire careers. Consider: Neither Yellen nor Lagarde have had tremendous success in the private sector of the financial industry. Yellen came up almost entirely as an academic and policy wonk, and has been almost entirely on the public payroll her entire career. Lagarde had great success in private practice, but was an attorney before she went into government in France, rather than a financial professional. Her first big public posting was serving as France’s trade minister from 2005 to 2007. 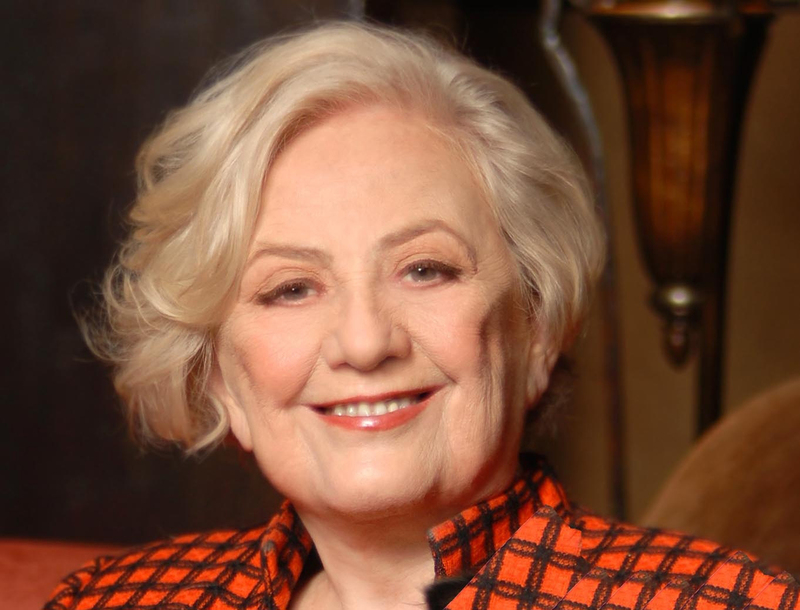 Sadly, we lost one of the financial industry’s great women pioneers in August of last year, in Muriel Siebert, who was professionally born and bred in the private sector, and all within financial services. Indeed, if the financial services industry ever had anything akin to a Jackie Robinson story, it was Mickie Siebert’s. She tried to buy a seat on the New York Stock Exchange in 1965 that same year – a seat that at that time cost nearly half a million dollars. Of the first ten men she asked to sponsor her application to become a member of the NYSE, nine of them turned her down. The NYSE itself wouldn’t admit her until a bank would agree to lend her $300,000 – an unprecedented demand. Meanwhile, banks wouldn’t lend her the money until the NYSE formally committed to admitting her as a member. Siebert was undeterred. It took two years, but she was eventually successful at becoming the first woman exchange member – and was outraged her whole life that the NYSE would not accept another woman member for another ten years. “For 10 years, it was 1,365 men and me,” she said. When she tried to attend a meeting at the nearly all-male Union League Club in Manhattan, Siebert found that as a woman, she was not even allowed on the elevator. She had to go through the kitchen and walk up the back stairs. Eventually, Siebert testified before a variety of government agencies and committees that the sexually segregated gentlemen’s clubs in Manhattan and other centers of commerce were important hubs for networking, and ultimately forced their integration. Siebert also famously got the New York Stock Exchange to install a women’s restroom on the 7th floor, where the luncheon club was – but only by threatening the exchange that if they didn’t have it installed by the end of the year, she would arrange to have a port-o-let delivered to the hall. If Mickie Siebert were working today, she wouldn’t be the lone woman at the top ranks of financial services, even in the private sector. Abigail Johnson heads Fidelity investments, for example (it helps when your grandfather starts the firm and your father is CEO of Fidelity, of course!) Teresa Ressel, once an assistant secretary for the U.S. Department of the Treasury, is now the Chief Operating Officer of UBS Securities, Americas. You have Dominique Senequier at Ardian, Nicole Arnaboldi at Credit Suisse, each well ensconced at the C-suite level in the banking and brokerage industries. There are more promising women doing great work at the managing director and VP level as well – nearly across the board. But move down the financial services food chain and it’s clear that there’s still a problem. The brokerage industry is still reeling from a series of sexual harassment and discrimination lawsuits from the 1990s and even well into the 2000s. Last fall, for example, Bank of America agreed to cough up $39 million to women who had filed discrimination claims against B of A’s recently-acquired subsidiary Merrill Lynch – capping off almost half a billion dollars that Merrill Lynch has paid out to women complainants over the last 15 years, according to reporting from the New York Times. Younger women are still struggling, too. Look down the series of photographs of the top 40 independent broker-dealer advisors in WealthManagement.com, and you will find not a single female face (nor African American, for that matter). Furthermore, a recent survey from the American Institute of Certified Public Accountants indicates that women are still underrepresented in senior management in accounting firms. Specifically, while 44 percent of accountants at CPA firms surveyed are women, only 19 percent of partners are women. This is a marked drop of 21 percent from the 2011 survey results. It seems as though women at the very top end of the bell curve are able to break through the glass ceiling that Muriel Siebert first cracked in the 1960s and 70s. But why don’t women seem to be firing on all cylinders when it comes to being fully represented among industry leadership mid-career? Women tend to take more time for family and child-rearing, biasing purely financial or quantitative measures like AUM or client acquisition towards men. Women tend to be more risk-averse than men – resulting in more women in the middle of the bell curve but leaving the left and right ends of the distribution to mostly men. Women may prefer team-oriented structures to competitive ones, while top rank high profile positions tend to go to more competitive pressures. Ambitious women may tend to self-select to other professions outside of the financial services arena. Women get led on more by wealthy prospects who simply enjoy their company but do not become clients, leading them to waste time and appointments, where men ‘ask for the sale,’ get it, and get out. Wealthy clients – the kind that build a financial services business fast, simply tend to prefer to send their business to men. There is active discrimination in the industry, still, despite the recent lawsuits and settlements, that keeps women in the lower to middle ranks of the profession. Mentorship and leadership development programs for women are inadequate. Women tend to do better in financial services if they start in law, academia or government and then switch over at more senior career levels, as Yellen, Lagard and Ressel did. Senequier also didn’t rise to prominence in financial services, either. She came over to Ardian from Hewlett Packard. Your thoughts? Weigh in in the comments!